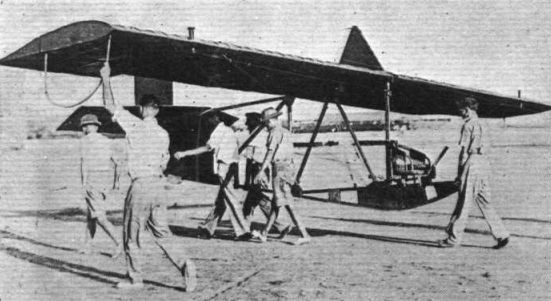 "Miss Durban," the first local-built glider at Durban, S.A. The Dickson type glider, designed, built and flown by airmen of the R.A.F. Depot (Karachi). L.A/C. Eville manages 40 ft. from level aerodrome. 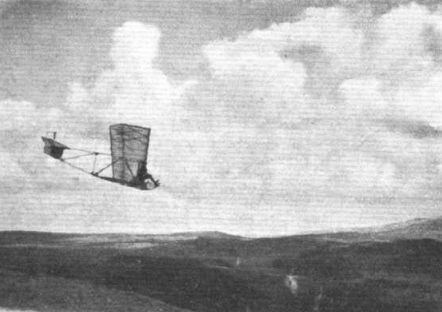 Modified Dickson Glider built by the Aircraft Club, Harrogate, soaring over the Hole of Horcaun, near Saltersgate. The Surrey Gliding Club's training glider being piloted in a very able manner by their instructor, Capt. Stratton. 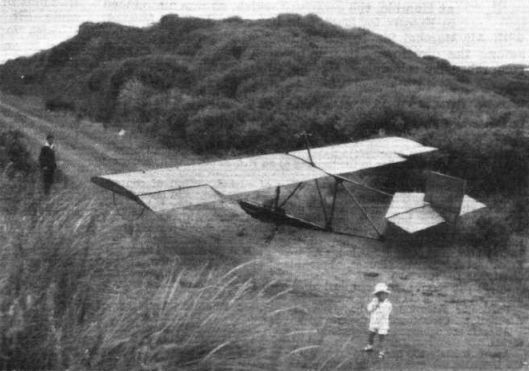 The Dickson glider built by the Aircraft Club, Harrogate. Flt.-Lt. Crawford on the left in a Kent Club Zogling, and Mr. Derham on the right in a Channel Club Zogling, at a meeting held by the former club last week-end. 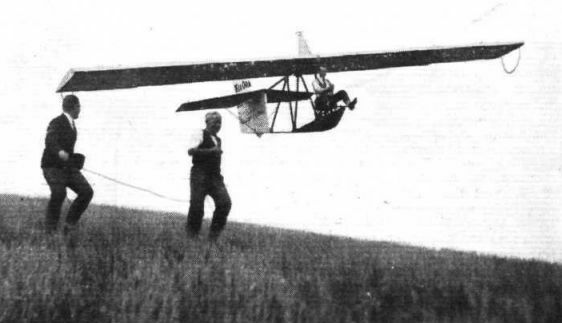 "BACK TO NATURE" might be the title for this picture, which shows Marcus D. Manton at the controls of the London Gliding Club's machine near Guildford. Mr. Manton was one of the early Hendon pilots, and is now becoming interested in gliding. FEMININE ENTHUSIASM: Lady members of the Leicestershire Glider Club with the Club's new glider. 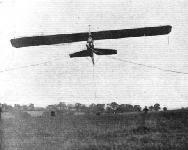 GLIDERS AT ORLY: The Avia school glider, used by Abrial and Remy. 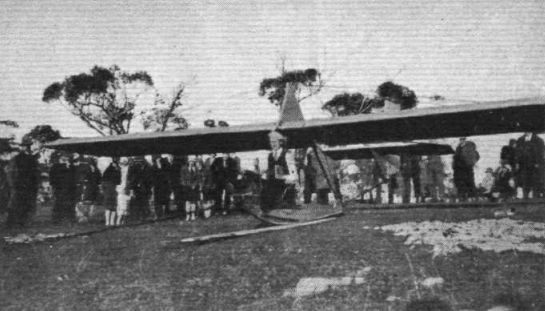 Mr. A. H. Wilkins, the club instructor to the South Australia Gliding Club at Adelaide, South Australia, in a club glider at O'Halloran Hill. As in England many clubs have recently been formed in Australia. 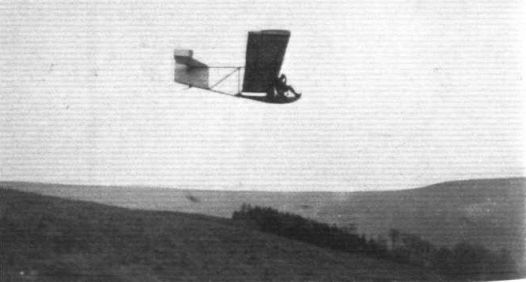 AT THE WASSERKUPPE: Herr Wolf Hirth, recently returned from America, is making a fairly sharp turn on the Grunau and is seen over the open girder tail of a practice glider during the competitions now being held by the Rhon-Rossitten Gesellschaft. 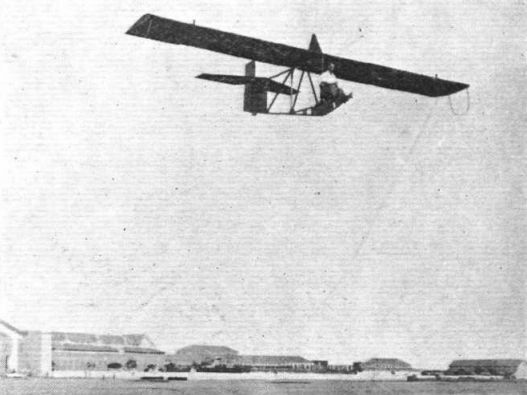 The New Zealand built Dickson Glider at Wanganui. GLIDING COUNTRY: (Left to right), Mrs.Addyman and "the boys," N . Pickles, L. Brook, E. W. Addyman. From this slope flights of over a mile have been made in the "Dickson" glider built by the Aircraft Club of Harrogate. The Scarborough Gliding Club recently had their first glider out, and above Mr. Slingsby is making one of the first flights on Whitby Moors. 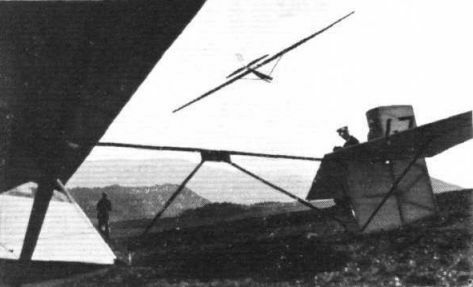 The Dickson Glider of the Dannevirke Glider Club in New Zealand. Mr. L. Willicomb is at the controls. WELL AWAY! Mrs. 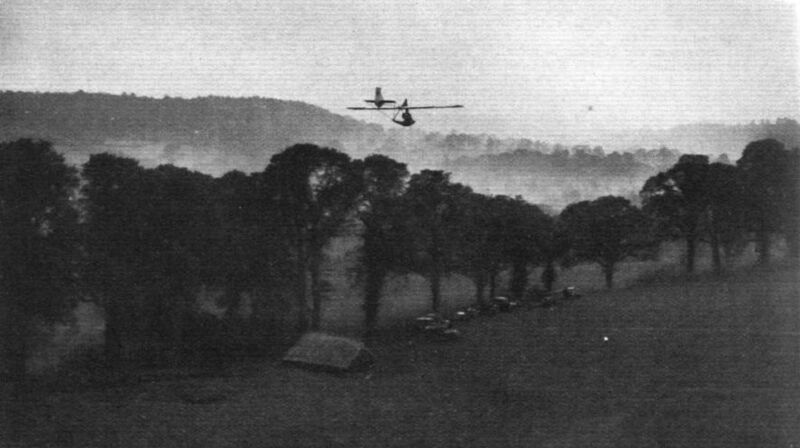 Hull of the Leicestershire Glider Club making a successful flight. FROM AN AIRY PERCH in a primary sailplane, Mr. W. P. Stevens, a Canadian reader, took this photograph of himself with the aid of a camera on the wing-tip and a length of cotton. The photograph was taken 800ft. over the city of Lethbridge, Alberta, a district abounding in "thermals" of a kind to delight the soaring pilot. A BEGINNER'S HOP: The Surrey Gliding Club launching one of their beginners well down the slope of their training hill. 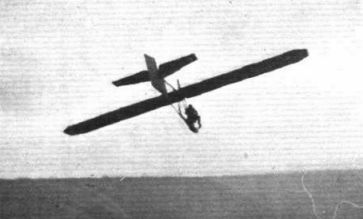 Their instructor, who may be seen in front of the glider, runs along ano directs his pupils during their flight, by means of a megaphone. Capt. 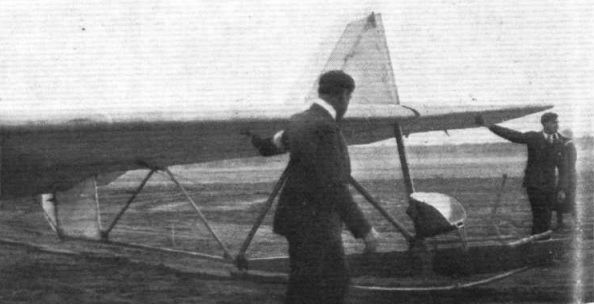 Joseph Thoret looking over his glider before taking off, and giving a demonstration of towed gliding at the Vincennes Meeting held on May 24 and 25. Capt. Thoret will be remembered by readers of "Flight" for the trips he gives over the Alps from the aerodrome of Passy-Le Fayet in his Potez machines. His knowledge of gliding has helped him a great deal when flying round Mount Blanc, and he has often made prolonged flights with his engine throttled right down. 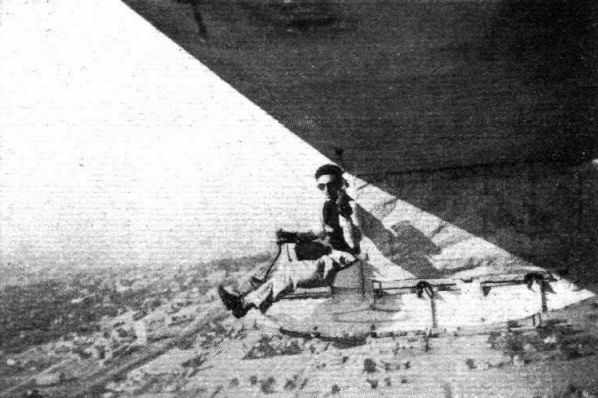 Another view of the Karachi-built glider, which has been called the "Desert Fowl." 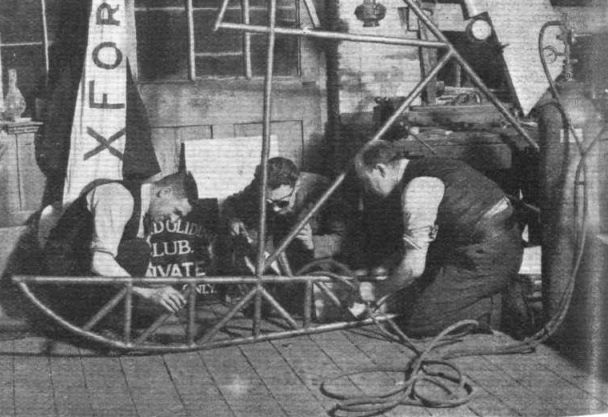 The Oxford and County Gliding Club at work on their all-metal glider fuselage.